A wide, contoured waistband creates a slimming effect in supersoft stretch jeans with five-pocket styling and straight-cut legs. 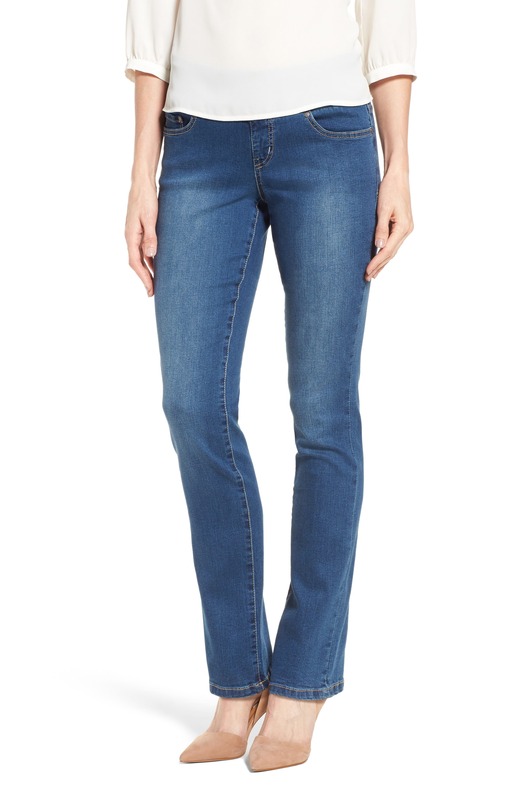 Style Name: Jag Jeans Peri Pull-On Straight Leg Jeans. Style Number: 5444826. Available in stores.